I made the dream happen #today with children’s storytelling! Photographed by Mpumi, my little brother. 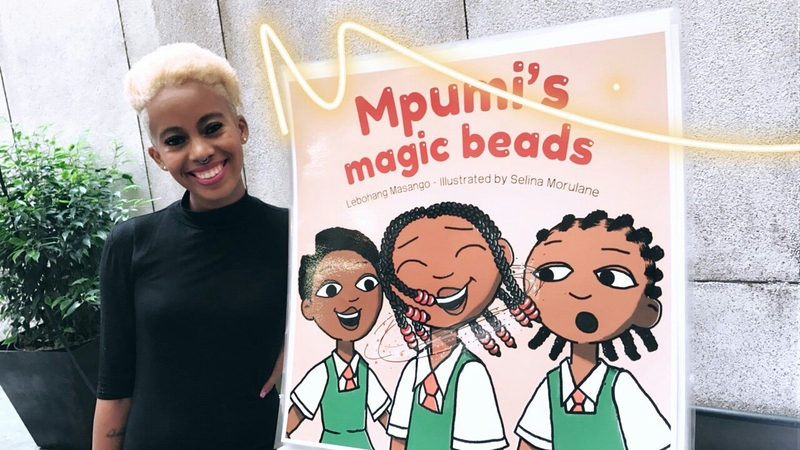 Mpumi’s Magic Beads is one of my favourite labours of love and this past Tuesday afternoon, I had the wonderful opportunity to share it with some lovely little people and some big people too. I chose Bridge Books on Commissioner Street as the venue because it’s the perfect setting for the story about Mpumi, Tshiamo and Asante – three little girls with amazing hair, a great friendship and some really cool adventures in the big city. 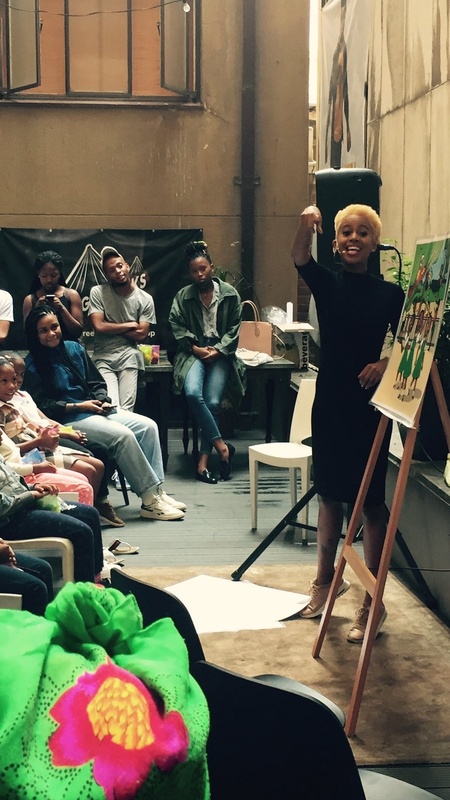 From making my pledge to “Make One Day, Today!” and beginning this journey of finding inspiration to write a unique story set in this Joburg city that I adore – I feel so happy that WE DID IT and it has been received so warmly. I’m grateful that so many people enjoyed it and would love to own it because that’s the bigger dream – to have it exist in hard copy so we can all read it to our future/children. So now that I have come to the end of the journey with Standard Bank (an awesome 4 months that could not have possibly been enough time to publish-publish) the new journey that I am about to embark on and one that I have to give some serious thought to is: how? I am contemplating whether I will go with an established publisher or whether I will be the established publisher and self-publish. It is quite the big decision to make but either way, I’ve gathered some email addresses of interested future buyers (feel free to mail me yours if you’re interested) and I will keep everyone in the loop of how I will proceed from here – this means that the story is inaccessible at this time and all I ask for is some patience in the meanwhile. After that is accomplished, I would definitely love to consider taking the book and visiting schools and community centres for storytelling sessions because I enjoy them so much. I’m grateful to everyone who came to the storytelling and allowed me to live my dream and also to those who spread the word and have expressed interest in owning the book. Thank you to Standard Bank, Book of Swag and Native for the opportunity and immense support, Kay Bapela for keeping me on track, Selina Morulane for bringing the girls to life and being a talented illustrator, Nokulinda for being both mom and kiddie snack-maker goals and for being awesome, Monti and Alexandra for being my best friends and coming through for me on the day and on all days, and to my parents for giving my siblings names that I could make a story with and to my siblings for being loving and helpful people. One more thing on the subject of publishing: I would appreciate any advice in this regard so please feel free to comment and let me know which route you think I should go with and why? Thanks! Thank you to my mother and Thabani for being my first listeners, believing in the story and giving me the confidence to share it.